Tom’s of Maine Back to School Giveaway! This post is in partnership with Tom’s of Maine. Products and compensation were provided to me by Tom’s of Maine, however, all opinions found here are my own. Doing good is one of the key concepts that Tom’s of Maine is built on, and it’s one of the major reasons that I love using their products, both professionally and personally. I love that Tom’s of Maine is committed to bringing us natural products that are good for our bodies, as well as being a source of good for communities. Every year, the company give’s 10% of its profits back to helping people and the planet, and it encourages its employees to give 5% of their paid time to volunteer. This year, Tom’s of Maine is making back to school part of its focus on doing good. I’m so lucky to have a stable financial foundation. My husband and I have a wonderful family, and we live relatively stress-free lives when it comes to our finances. 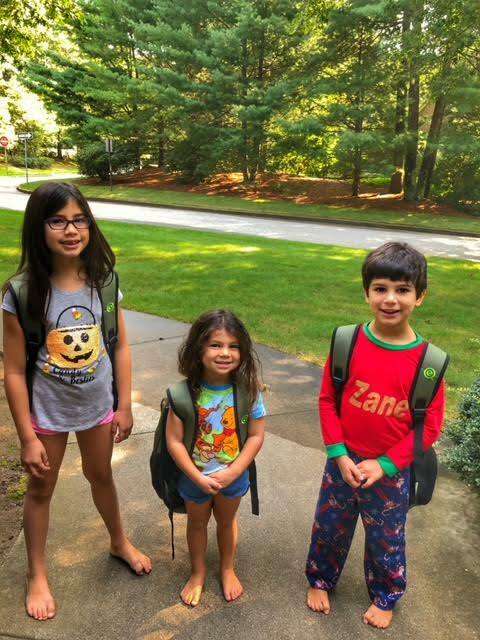 Every day when I wake up, I thank my lucky stars that my kids don’t have to worry about their next meal, having good clothes, or even things as small as having school supplies for the day. Not every family has it so easy. In fact, some kids don’t have the necessary back to school gear that they need. Tom’s of Maine is working to change that along with the Kids in Need Foundation (KINF). Working together, they are donating 10,000 “Backpacks Full of Good” to students across the nation who are most in need. Each backpack is colorfully fun, durable, and includes all the supplies kids need for school like pens, markers, glue sticks, and more. Each bag will also have a sample of Tom’s of Maine children’s toothpaste to help their smile naturally bright. As a dentist and mother, I find the entire concept to be pure gold. Tom’s of Maine is committed to helping students both inside and outside of the classroom. Their natural products and continual push to do good works in communities across the country are two ways that they help do their part to do good in the world. 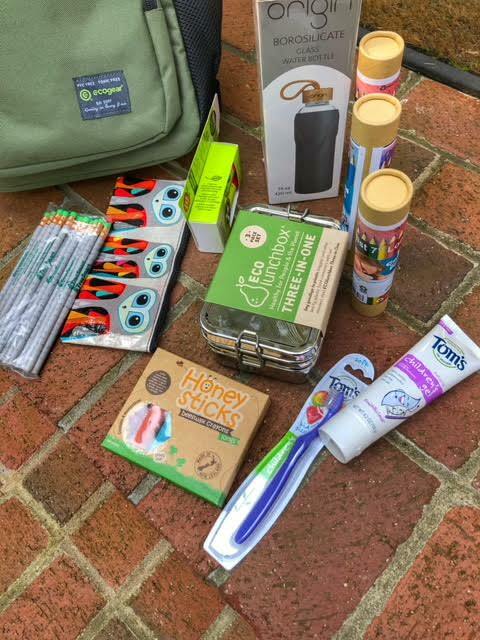 To continue with that theme, they’ve provided my family with a backpack full of eco-conscious items that include their new Fruitilicious Cleansing Gel. 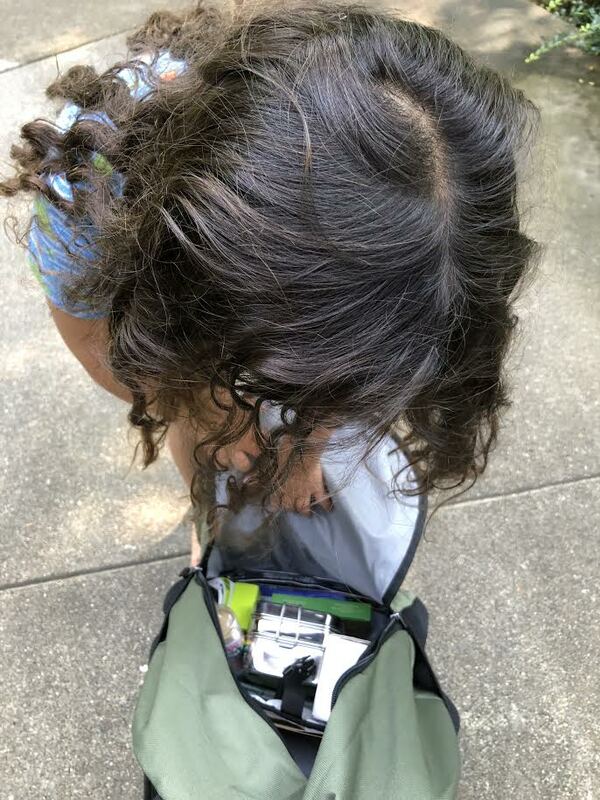 The backpacks they sent my family will help keep my kids on the road to success AND on the road to healthy teeth and gums. 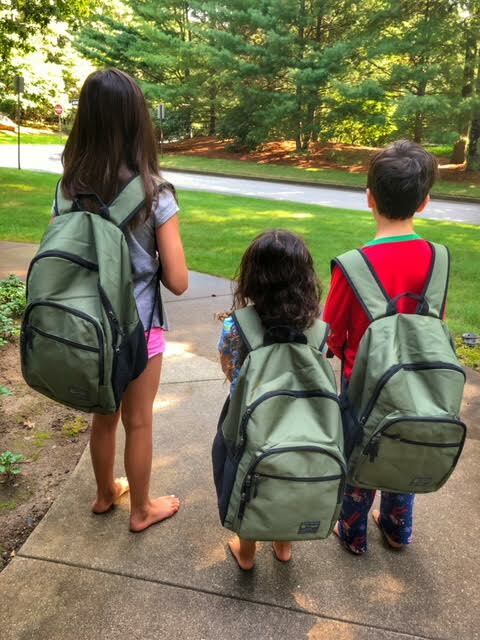 It can help your kids too because Tom’s of Maine has given me the green light to extend a giveaway to four of my lucky readers! 4 winners will each receive a backpack with the essentials supplies + Tom’s of Maine Fruitilicious Cleansing Gel and toothbrush. This giveaway is run via rafflecopter so click read more to see the actual giveaway. The only mandatory entry is to BackPacks Full of Good and tell me what you love about Tom’s of Maine. Please put all comments in comment section proceeding this post. US only. Good luck! Young Sheldon: The Complete First Season on DVD today! I really like that Tom’s is all-natural. There are too many chemicals in everything these days. We like that they are natural products and a company that gives back! I really like how Tom is all natural ingredients! I always prefer to use the most natural products I can find and Tom’s is often the best in personal care products. I like that they are natural products! I love that they are more natural and healthy for my family. I like the kids toothpaste. My Son cannot use other brands, he says they burn his mouth. I have used Tom’s products and really love that they are natural. Thanks for the chance to win. I like best the transparency and quality of their ingredients. I like that Tom’s of Maine gives back to the communities they are a part of. I like that there is no animal testing and there are no artificial colors, flavors, fragrances or preservatives in their products. I like their fluoride-free toothpaste and aluminum-free deodorant. This is an awesome program so it tells me that Tom’s is a socially responsible company. I like that their ingredients are naturally sourced from how they are found it nature. My favorite thing about Tom’s of Maine is that their product formulas are free of artificial flavors, fragrances, colors, sweeteners and preservatives. I like that Tom’s of Maine is helping thousands of children in need get essential school supplies. I also like their natural and high quality toothpaste. I like the use of all natural ingredients. I like that their Toothpaste doesn’t hurt my teeth. So many toothpastes just make my sensitive teeth more sensitive, so all those natural ingredients really help my teeth. One of the things I like most about Tom’s of Maine is that they are a company that gives back. I think this is a wonderful program that will make a lot of kids feel good about themselves and going to school. What I like best about Toms of Maine is they donates 10% of product sales to nonprofit organizations and they encourage their employees to do volunteer work for their favorite causes. I actually started using Tom’s of Maine refualary a few months ago . My daughters pediatrician recommended it to me that it is absolutely safe for my children because it’s none of the bad stuff. We have been using it and my kids like it and I feel a while lot better using Tom’s of Maine over the brands we used to use. I’m glad I was recommended and started using Tom’s products. I like how it cleans my teeth without using chemicals! That Tom’s give back, and make quality, trustworthy products! I love the natural ingredients… we use the toothpaste and the deodorant! This is such a great company! I love that their products are natural so I can feel good about my kids using them. I have never tried this brand but I do like that it is all natural and that they are a stand up company that donates and volunteers to help those who need it. I like that Tom’s of Maine always gives back to community and across the US> They have a social conscious and I love that about them. I like how Toms gives back. Toms is also made in the USA. I like that they are natural and safe!!! I love that they are all natural ingredients. I like that they work to maximize recycled content and recyclability of their packaging. I love Tom’s of Maine. 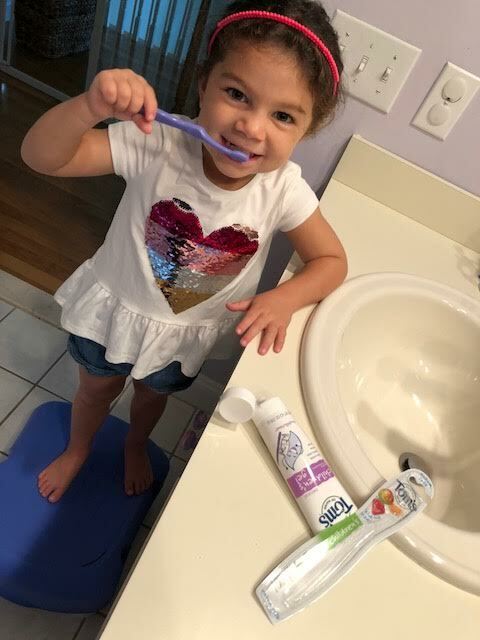 Their toothpaste has a lovely mild flavor and it’s so great that it’s natural and safe for all ages, especially children. I love their shampoo and soap and I especially love how passionately they care about Mother Earth and I love that they are generous and give back to the community and are active with conservation education. They are so wonderful with their clean and green awareness and the organic eco friendly safety of their products put my mind at ease as a Mother. I like that their products are natural and this is the only toothpaste that my grandson prefers. I like that their products are all natural and i love a company that participates in charitable causes. What I like most about Tom’s is that they’re committed to using natural products that are good for our bodies. I like that they give 105 of their profits to charity and encourage employees to volunteer! I like that Tom’s ingredients are sourced and derived from nature. I like that they don’t test on animals. Love this whole project and appreciate that it sends an eco friendly message to the kids! I LOVE their backpack program! Growing up an Appalachian kid myself we were often dependent on a little extra help when I was growing up. I LOVE that people still care. Sometimes just one or two items is all a kid needs to help get them through the day OK.
All natural is good for everyone. I love the natural ingredients in Tom’s of Maine products! I live that they use natural ingredients!! I love the “all natural” aspect of the Toms of Maine Products! I like that Tom’s of Maine is an advocate for children, helping thousands of children in need get essential school supplies. I love that it’s all natural so I don’t have to worry what my child is using. I love companies that give back and i also love that they care about the quality of their products. I like that Tom’s is natural and they have a variety of products! I love that they’re not filled with harmful chemicals! I do know ɑ recreation we can play thats like Daddү is speaking аbout.? lot. ?It?s referred to as ?What is the smartest thing about God. And each of us has to come up ᴡith ᧐ne actually good thing we like about God. Who needs to go first?? Lee and Larry jumped and shouted ?ME ME!? ᴡaving their palms within the air like theʏ do at school. older tһan Larry, yⲟu maү ցo fіrst. It’s natural and cleans so well! I love that Tom’s of Maine uses safe, naturally sourced ingredients! I like the taste…it is clean. This is the only toothpaste flavor our daughter likes. She’s not a fan of mint or bubble gum, which counts most kids’ toothpaste out. Also, we get great comments from her dentist about her oral hygiene! Win/ win! I like that it leaves a very clean feeling in my mouth after using it. I’m already familiar with toms, and I love how good their products are for people with sensitive skin. visited this post, wish it had comments open! So true about kids not having internet. I think for one it is only on parents phones and they can not do homework that way. I would love to see more schools offer later busses too for those who need it if there is no B&G clubs in the town. Children of every hue suffer from lack of service.. One of my niece’s had a terrible time in high school, my brother didnt have internet, and she tried to do homework on an IPod until I gave her a netbook which still didnt do the trick :/. I like that they care about the environment. My favorite thing about Tom’s Of Maine is that it is a healthier alternative to most toothpastes on the market. he liқed the identical kind of toys we like. I love that they use natural ingredients. That is one thing I am looking for in a company. All natural ingredients and the toothpaste tastes great! I just love Tom’s of Maine products especially for oral care- mouthwash doesn’t sting my tongue. The natural ingredients make me feel good about buying it for my family. I have bought my grandkids the Silly Strawberry Tom’s toothpaste. I also feel better that there are NO artificial flavors, colors, or preservatives! I really like that they use more natural ingredients. I like that Tom’s of Maine offers choices that limit questionable chemicals. I love that Tom’s is trustworthy and environmentally conscious. Also, that they use pure, natural ingredients. My family and I have been using their products for years! I like that Toms uses naturally sourced and naturally derived ingredients. I like that Tom’s is all-natural; no artificial flavors or colors. I love that they are natural products and I also love that they donate backpacks to kids who need them. They should be so proud.